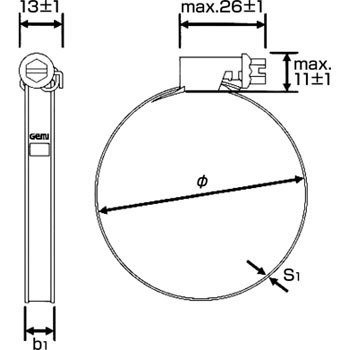 Gemi should be tightly rounded neatly even with a small bore diameter of 20 mm or less. A slight offset between the band core and the worm gear core may work advantageously in a complicated place. There are rumors that Gemi has entered the Norma group, but I hope that the brand will continue in the future. This review is about item#39116883.